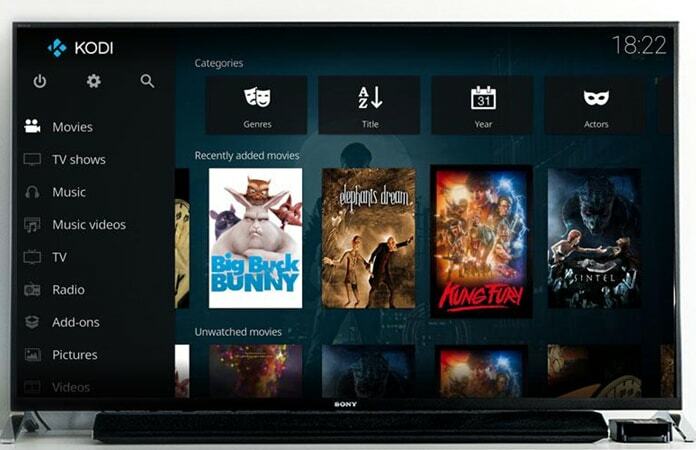 Kodi is a free-to-use online player that’s available for all platforms including Android. You need to install the Kodi app on your devices to watch a massive library of content ranging from movies to TV shows. It has a user friendly interface for you to browse and find your favorite movies and shows. 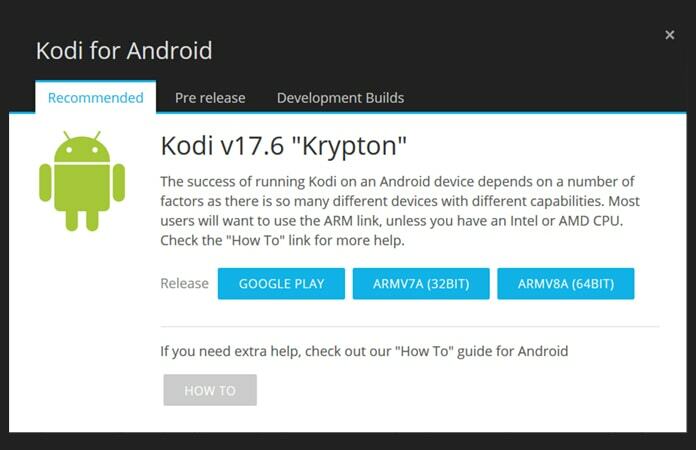 You can install Kodi on Android devices and Android TV. 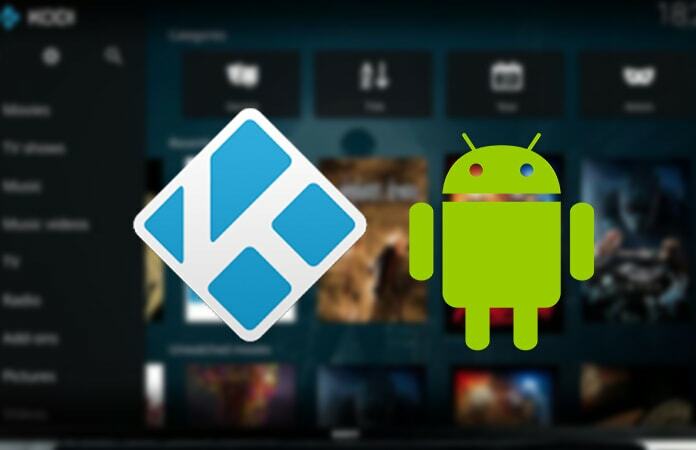 You can just simply download the Kodi app from the Google PlayStore on your Android smartphone, phablet or tablet. 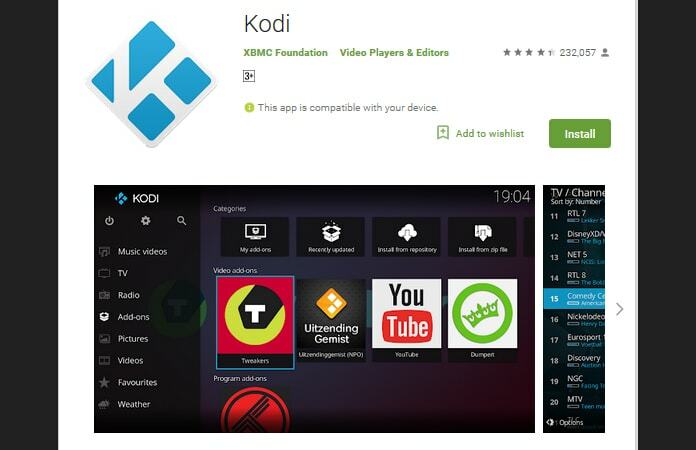 You can use the PlayStore search feature to find the app, just enter ‘Kodi’. However, if you’re unable to locate the app for any reason, maybe it is restricted or not available in your country. So you can just download the app from the Kodi website. Just enter the following URL: https://kodi.tv/download in your browser. Once the site is fully loaded just scroll down and you will find the Android icon. Just tap on the icon and a pop-up dialog box will open. In the pop-up, you will have the link to the Google PlayStore and links to directly download it. If you’re using the next-gen AAA smartphones then you need to download the ‘ARMV8A – 64Bit’ app. However, you can just check which of the Kodi versions are compatible for your smartphone. Settings -> Apps and Notifications -> App Access -> Install Unknown Apps. Just enable it and you’re good to install Kodi and any other third-party apps. Same as with the Android device you can also find the Kodi app on the Google PlayStore from your Android TV. So just download the app from the store and install Kodi on Android TV or Android TV Box. But in the case you’re unable to find the app or download it from the PlayStore there are alternatives. The reason we have download Puffin TV and File Commander is so then you can access browser and folder in Android systems respectively. Open the Puffin TV app and in the Google browser search for Kodi. And like the above method download the 64Bit version of the Kodi app. Once the downloading is finished you need to launch the File Commander app to access it. In the downloads folder you can see the Kodi .apk file. Remember here you all so need to enable the option to install apps from unknown sources. Let us know in the comments below have you ever used Kodi media player before?